We spotted a lurker in a wild patch in the far corner of the yard, ducking into the shrubs. Minutes later, a knock at our door. 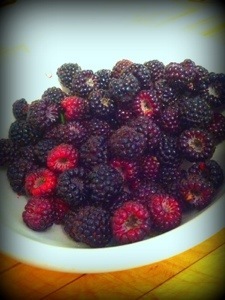 Now to decide the best thing to do with berries, fresh off the vine.